Caravan Sitefinder – to find the top campsites, caravan sites and caravan parks in the UK. 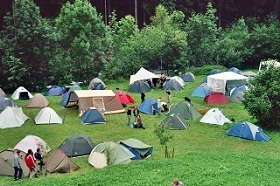 The UK tourist boards offer campsite listings of quality-graded sites. 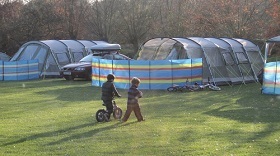 Use the links below to click through to camping and caravanning site listings. coolcamping.co.uk – If you looking to camp somewhere a wee bit different and really rather cool then of course the Cool Camping books will offer some great ideas. lovecamping.co.uk for a selection of over 3,500 campsites in the UK. information-britain.co.uk – for a great directory of what’s on and what to see around Britain. The choice of tents out there is vast and it’s difficult to know what to buy – for some good reviews from the most seasoned of campers, (ukcampsite has a great following in the camping world) see ukcampsite.co.uk/tents for tent reviews. Discover Touring is a national campaign in its third year, run by The Caravan Club to help newcomers in caravanning and motorhoming get started. The Camping and Caravanning Club launched a similar campaign, New to Camping, aimed at helping newcomers to camping too, get all the information and advice they need. Contented Camping was a sponsor of this campaign in 2010.